Shortly before midnight, a caller reported a 20-year-old woman had fallen from a balcony on 6700 block of Del Playa Drive. One witness said the student was sitting on the balcony, then fell backward over the cliff, according to the Santa Barbara County Sheriff’s Office. A rescue team and medical personnel arrived at the scene and found the woman on a kelp bed below the balcony. Bystanders had pulled her out of the water and placed her on the bed. Emergency responders transported her to the hospital. The extent of the woman’s injuries is not known. Sheriff’s officials say alcohol is believed to have been a factor in the incident. 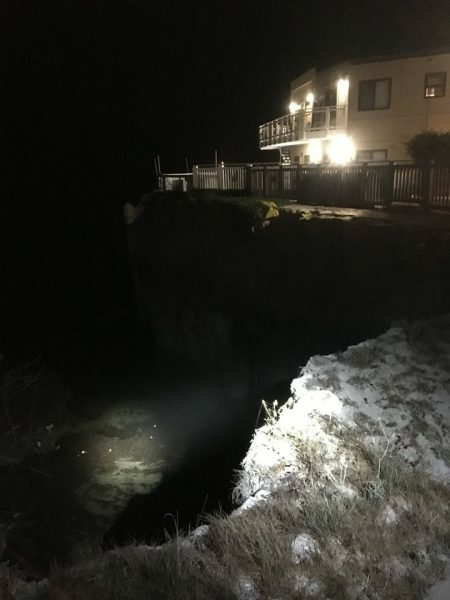 Officials are warning students, residents and visitors to exercise extreme caution on balconies and near the cliffs in Isla Vista. Over the years, people have died and suffered life-altering injuries as a result of falling from the cliffs. The majority of the cases have involved victims who were intoxicated, according to the sheriff’s office.